On March 24th Hong Ik Martial Arts in Bronxville held its first Open House. Numerous kids and adults stopped by to get a tour of our new dojang and enjoy free lessons and some nice treats. SUSA and MUSA proudly joined Grand Master Yoo, Master Oh and several Masters from other HIMA locations to help share positive energy, encouraging newcomers to step onto the mats and even try some board breaking! 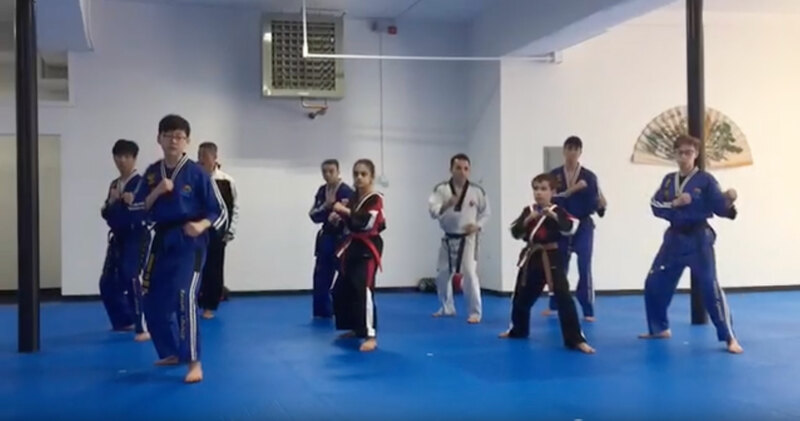 Current HIMA students from Bronxville as well as neighboring New Rochelle also attended and enjoyed some group instruction led by Grand Master Yoo, including a series of advanced kicks on training bags and flowing Kigong practice. Adults enjoyed practicing some boxing drills with Master Shin Min. The Open House was a big success and we are thrilled to have added new members to the HIMA family. We thank everyone for their dedication and sincere effort in welcoming the Bronxville community into our school.